What happens when you have job openings but your neighbors lack the skills to fill them? In Rockford, there’s a new answer to this age-old question. See how an evolving mindset is getting results. What happens when your community has job openings, but your neighbors lack the skills needed to fill them? It’s a classic human resources problem, and one that’s becoming ever-more apparent in the Rockford region. Gone are many of the low-skilled jobs that once paid decent wages. They’ve been replaced by positions that require some degree of education and training, whether certificates and apprenticeships or higher education degrees teamed with in-depth training. 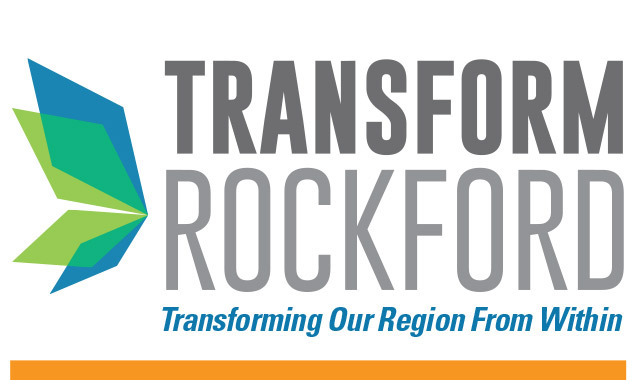 In its mission to create a strategic plan to make Rockford a Top 25 region by 2025, the nonprofit Transform Rockford is helping to align the resources needed to improve the region’s workforce training and better utilize its labor force. As the reasoning goes, it’s easier to grow your own skilled employees at home than it is to recruit them from elsewhere. The need for workforce development appeared early on in Transform Rockford’s research process. The group’s Economy & Jobs “spoke team” uncovered best practices from other regions and discovered how workforce development builds economies by spurring innovation, job growth and business attraction/retention. As the region’s workforce needs became clearer, a shift in mindset began to occur. Local business and education leaders began rethinking the way we approach career preparation. In time, they began forming fundamental alliances that now are shattering barriers to progress. Rockford Public Schools took a leap forward in 2013 when it established five academies at each of the city’s four public high schools. Now, high schoolers pursue their general education in small learning communities while exploring broad career trajectories like business, arts and information technology; engineering, manufacturing and industrial trades; human and public services; and health sciences. Whether these students plan to attend college or trade school, or enter the workforce directly, they often can graduate with both a diploma and college credits. Students who once may have fallen through the cracks now are provided with extra nudging. Changes within RPS would be in vain if not coupled with a new perspective in higher education, and Rock Valley College (RVC) is leading the charge using many avenues. Thanks to a radical new partnership between RVC and Northern Illinois University, RVC students are earning a bachelor’s degree in engineering while studying in Rockford – and they’re saving an estimated $16,000 in tuition by doing so. Corporate partnerships with the likes of Woodward and UTC Aerospace put these students on a fast track to gainful employment. At Chicago Rockford International Airport, students in RVC’s new aviation maintenance technology center are preparing to enter a field in which qualified candidates are highly sought-after, both locally and nationally. When they’ve completed their two-year education, many of these students will be invited to work across the street at the new AAR Rockford center for airplane maintenance, repair and overhaul. According to airport officials, the proximity of RVC’s program was a motivating factor in AAR opening a Rockford location in September 2016. The center is expected to hire 500 techs at full capacity. This fall, RVC further enshrined its role in workforce development as it welcomed OSF Saint Anthony College of Nursing into its new Health Science Center. The 79,000 square-foot building brings all health-related programs under one roof and establishes dedicated space for OSF’s nursing school. Now, RVC students can transfer directly into the school’s bachelor’s, master’s and doctoral degree programs. Because manufacturing and health care remain some of the strongest concentrations of employment in our region and are among the most in-demand career fields, it’s only natural that workforce development focuses on these areas. But what if we prepared employees for other fields with the same business-education partnerships? Schablaske thinks it’s imperative. This entry was posted on Friday, November 3rd, 2017 at 11:56 am	and is filed under Northwest Business Magazine. You can follow any responses to this entry through the RSS 2.0 feed. Both comments and pings are currently closed.